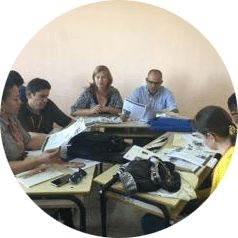 In February 2018 TransformELT worked with the British Council, Cuba on an “ELT roadshow” for teachers of English in universities in Santiago de Cuba, Holguin, Santa Clara and Havana, focusing on developing learners’ reading and writing skills in English. 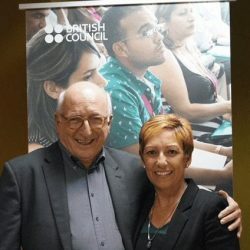 TransformELT was subsequently invited by the Cuban Ministry of Higher Education to lead a policy workshop on curriculum renewal, which Alan Pulverness conducted at the University of Havana in November 2018 and which will be further developed in October 2019. Building on work already undertaken by the Ministry of Higher Education, Alan proposed a theory of change which adopted a systemic approach to curriculum reform, mapping the interdependent relationships between teacher training, continuing professional development, assessment (both formative and summative), and the evaluation and adaptation of teaching materials and learning resources. This integrated approach was designed to ensure that the planned curriculum change would take into account the nexus of inter-relationships between all of these elements, while at the same time acknowledging particular contextual features of higher education in Cuba. To support engagement in the process of curriculum renewal by both teachers and learners, our proposal highlighted reflective processes (classroom investigation, learner autonomy, portfolio assessment) that would favour a sense not just of involvement but of ownership of change in language education. Also emphasised was the need for a robust approach to monitoring and evaluation, employing mixed methods to track the implementation and reception of change from the outset and throughout the cascade process.